Two years ago, Siemens Enterprise Communications re-branded as UNIFY. "Unify, is a joint venture between the American private equity firm The Gores Group and German industrial conglomerate Siemens AG," according to Wikipedia. It is a premise-based comms platform. Now, Atos is buying Unify from Gores and Seimens. There has been a lot of activity in the last couple of weeks in the telecom sector. Here are the highlights. Verizon decided to put its Enterprise business up for sale for $10B. Rumor has it that the data center business (formerly known as Terremark) has been up for sale for a while. M&A in the data center space as Colologix acquires New Jersey based Net Access. Net Access, LLC is a "colocation and workspace recovery provider with over 200K gross square footage across three enterprise-grade facilities in Northern New Jersey." NJ is the new target for Greater NYC. Net Access has 700 customers! Now cologix will have 24 data centers in 9 markets. The first big change is at Comptel. It has re-branded as INCOMPAS under the new association management team and fairly new CEO, former Sen. Chip Pickering. With twitter, Netflix and Google as sponsors of Comptel Plus and members of Incompas, it is a whole new look for the group. While AT&T is a platinum sponsor of the show, they are absent as they have their own partner show for APEX going on in Dallas as I write this. Dell-EMC, Charter-TWC-BHN. Anheuser-Busch InBev-SAB Miller. Big mergers usually amount to nothing good for customers. It is really about getting bigger, scaling up, too big to fail, but too big to execute. I cannot keep up with all the merger and acquisition activity happening right now. Here is some of it. A big one for me is that Accenture acquired Cloud Sherpas. Sherpas was one of the largest Google integrators. While at the ITEXPO in Anaheim, I wanted to share a few things that happened. Birch bought some of Sage Telecom's customers. From the Sage page, it looks like Residential base but there are probably some small business too. More inorganic growth. 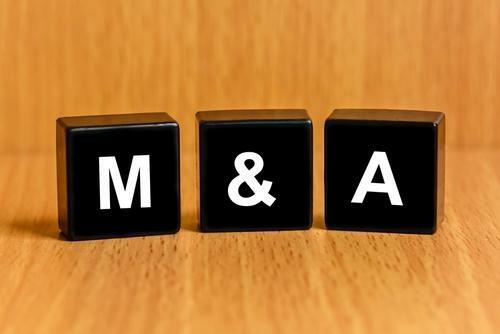 GTT has been a on an acquisition binge since 2009, when they bought WBS Connect. Then in 2011 they bought UK's PacketExchange to complement the business. Next, they added nLayer to the mix for just $18m. They bought the old Tinet from the old Neutral Tandem (Inteliquent) for $54m, before listing on the NY Stock Exchange. So the FCC set the clock on the Charter-TWC merger. Part of the order explains how confidential information will be handled. (This is not the first merger with confidential company info.) The two Republican Commissioners on the FCC are complaining loudly -- as they have over every order passed by this Commission. FCC Commish Ajit Pai is often belittling the FCC CHair and his decisions publicly.